Once A Bully Always A Bully? We’ve Come A Long Way Baby! Or Have We? Michelle has the distinction of becoming the Bizzy Life's first woman contributor, and she definitely fits the profile of living the Bizzy Life. During her twenty-year-plus career she has successfully found the secret of juggling business success with family while exploring multiple creative passions. After being raised one of nine children in the Boston area and graduating from The University of Massachusetts at Amherst, she escaped to the West Coast (though she has maintained her Catholic guilt, East Coast lefty-liberal ideas, and the often painfully direct and cynical East Coast attitude). Thirteen years ago she co-founded The R2CGroup, and since then has received a plethora of business accolades, including "Oregon Woman Entrepreneur of The Year", "Inc Magazines Most Fascinating Entrepreneurs", and multiple recognitions for running Oregon's largest woman-owned company. Throughout her career, she has had opportunity to work with some of the best (and worst) product marketers in the country, in categories ranging from fitness to house wares to beauty and complex financial products. There is always a new product in the hallway, waiting to be tested. 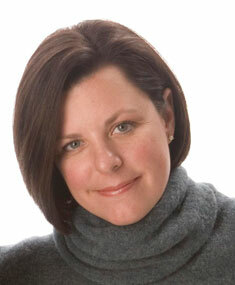 Michelle loves dogs, cooking, travel, hiking, skiing, reading and architectural design. She is well-versed in some of the more obscure but important aspects of living bizzy, including glamping, 1200 thread count sheets, and the complexities of installing commercial pizza ovens in a residence. She has built and renovated several homes and buildings and has an unflinching perspective on products and services. Design should not only be beautiful, but practical. As wife of the editor and chief of the Bizzy Life, Michelle will bring a uniquely fe-Male perspective with observations on everything from medical issues effecting women in their 40's to discovering the "best" high-end experiences.